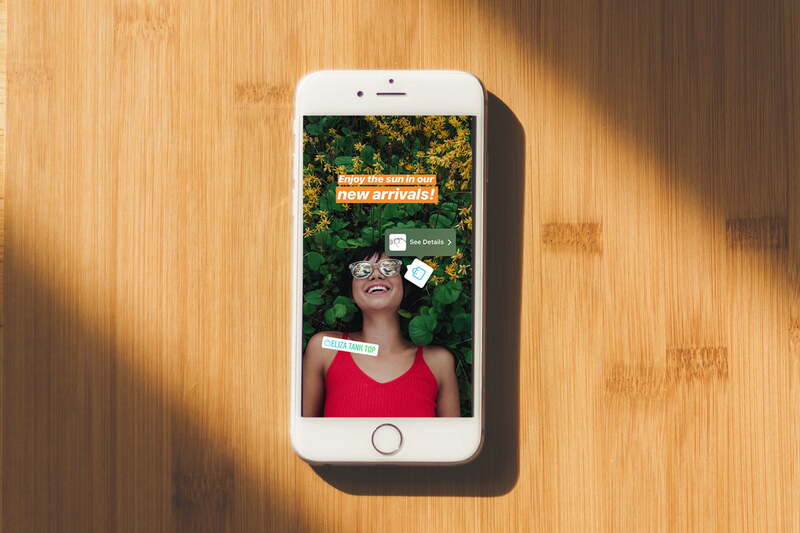 Stickers are more than just photo bling — inside Instagram Stories, a new sticker makes it possible for fans to shop for the items in the photos. Instagram users can now shop inside Stories, expanding the earlier option of shopping from the Instagram feed. After announcing the stickers with select partners in June, Instagram opened shoppable stickers to all businesses on Monday, September 17, and announced a new test for the feature. Stories that users can shop are marked with a shopping bag icon inside a sticker. Tapping on the shopping sticker takes users to additional details about the product, with an option to buy. In the first images of the feature, Instagram shared a simple text-free shopping bag sticker along with a shopping bag sticker that lists the product name. For Instagrammers that have tried using Google to find an item inside a photo, the feature is likely welcome, while others may see the shopping stickers as one more way ads are coming to the social media app. Instagram will also now be testing a “shopping channel” inside Explore. Like other items inside Explore, the content is tailored to each user. The shopping option in Explore will suggest products using those shoppable Stories. Instagram says the shopping channel inside Explore is only in testing for now, but the company expects to expand the feature over the next few weeks. The inspiration for the shopping stickers stems from a survey designed to pinpoint what helps capture users attention in the Stories format best. In the survey, some Instagrammers said they watched Stories to stay up to date on brands, get an insider view, and discover new products. Of course, Instagram will likely get a cut of the sales that stem from Stories. Around 400 million users now use Stories on Instagram, the sharing format that creates a slideshow of photos and videos, then deletes it all to start fresh the following day. As the format grows, Instagram continues to expand the available features, including a share option for Stories, bulk uploads, a type mode, and expanded Stories ads. Mark Zuckerberg, CEO of Instagram’s parent company Facebook, says that Stories will continue to be a focus for the company as the format continues to grow. The sticker has the existing shopping options on Instagram bleeding over into Stories. Inside the news feed, businesses can already tag products that are featured inside a photo, allowing users to tap to find more details or navigate to the full online store. The update brings a similar feature to Stories by allowing fast access to details on the products inside the photo by tapping the sticker.